"When a human being doesn’t have access to water, food, basic education or healthcare he doesn’t have access to his own future. But when whole regions and countries still don’t have access to these basic rights it is our whole Planet that doesn’t have a future." 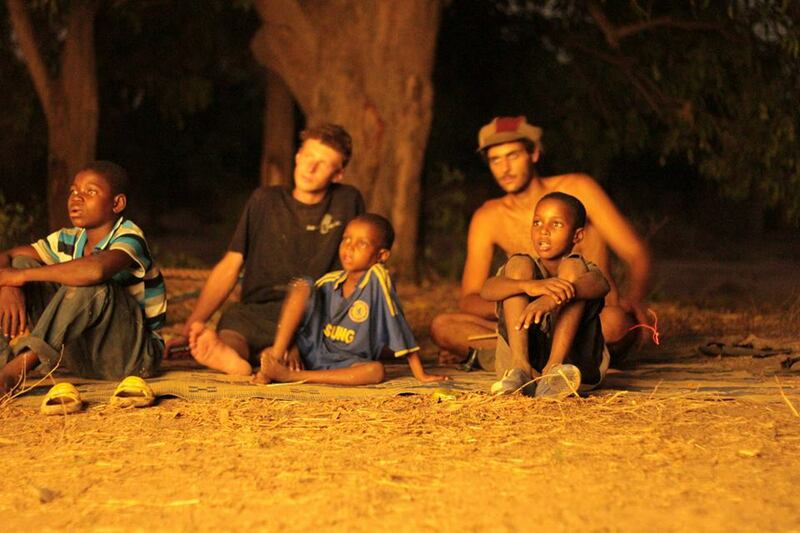 Bambini Nel Deserto [BnD] supports ‘Cinema du Desert’ since 2009. BnD is a humanitarian organisation that began in the year 2000 in Modena and it’s been recognised as an NGO since 2008 - operating in Italy, Morocco, Mauritania, Mali, Burkina Faso and Chad. 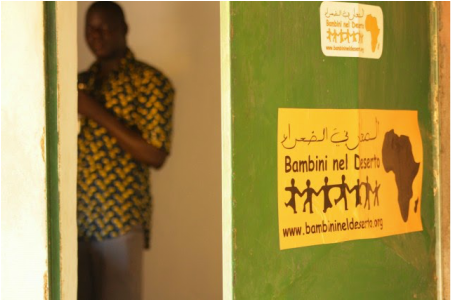 Davide and Francesca are volunteers of NGO "Bambini Nel Deserto" since 2009. 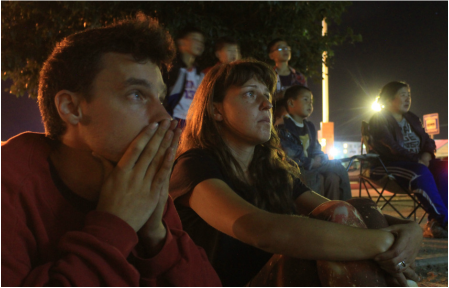 In the year 2010 they joined the organisation creating the "Truck Team" in parallel with the project "Cinema du Desert". Davide Bortot is constantly investigating about renewable energies, is a truck driver and very passionate for D.I.Y. heavy vehicle camper conversion. Francesca Truzzi is a trained social worker, photographer, performer and project manager... she's the backbone of every expedition. ​Both are very happy of still being able to bring the magic of film and fun to those who least expect it. Always for free! Many people have been part of this project so far since 2009. Without their effort, and varied set of skills, none of what has been done would be possible. Some help out during the preparation phase (finding sponsors, building the truck,...), some travel with us for sections of the journey and others stay for the entire expedition. Does our work resonate with you? Are you the creative type, experienced in alternative traveling, willing to dive in and learn more about other cultures, used to working with children? Or are you just keen to devote your time and soul to a self-giving project such as this? ​Yari (crossed Belgian Shepherd) & Yuma (Alaskan Husky) are our traveling best friends and our facilitators with kids when we operate in schools, centres for the physically or mentally disabled and orphanages. The children love them and they love children! Both are specially trained to work with kids. They will never refuse a walk on a leash around a village or in the backyard of a school... We couldn't do it without them! "Life is what we make of it. Travel is the traveler. What we see isn't what we see but what we are"